To receive the services listed below and be eligible to send a representative(s) to MSF post-season tournament play, all of the teams in the league must be members. For example, if a league has eight teams, all eight teams must be MSF members to receive the membership services listed below. Complete the team membership form and forward with MSF per team membership fee to MSF state offices by January 5. MSF will award your league post season berths no later than January 25. The awarding form and fees must be in MSF offices by February 25. Forward all teams regular season rosters (yellow copy of three part roster provided by MSF) to MSF offices by February 25. Distribute post season tournament packets (draw, rules, map, etc) and the championship roster (white copy of the three part roster) to the teams advancing from your league with the team number designated. Access to www.msf1.org web site which features results, schedules and program summaries. All MSF member teams are governed by a uniform set of eligibility and classification rules which are designed to promote fair play and equalized competition. 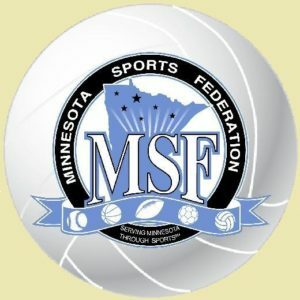 All MSF member teams compete under the National Federation rules as modified by the Minnesota Sports Federation. Member teams are encouraged to contribute to the development of the game by suggesting rule changes to their local sports director. The MSF conducts state tournaments in three divisions and four classes of play. Teams are eligible (through their registered league) to compete in qualifying and post-season tournaments. If your league so desires, the State Rules Interpreter will serve as your league’s rule interpreter. Members of the MSF staff are available to provide expertise in the development of by-laws, league and tournament schedules and general assistance. The MSF is continually striving to improve the understanding and quality of officiating. MSF officials are encouraged to attend an annual rule interpretation clinic. Players are also encouraged to attend a rule interpretation clinic. The MSF is affiliated with other state and national organizations which promote amateur/recreational sports. Option to attend the MSF Annual District Meeting. Voting representation on the MSF Board of Directors. By joining the MSF, your league is helping improve and promote the game of volleyball. The MSF is instrumental in the promotion and development of the sport. The MSF promotes the sport in your community and works for better facilities and league programs.